The S8 chest of drawers by Andersen Furniture is an excellent storage solution, particularly in smaller living spaces. The idea for the design comes from the studio byKATO, who focuses mainly on combining aesthetics and functionality in the best possible way. S8 features various drawers of different sizes, where crockery, clothing, or files can be stored in an organised way. Flowers, lights and books can also be decoratively arranged on the top of the chest. The S8 chest of drawers is made of solid oak with mortise and tenon joints. The turned, tapered feet have a brass finish and give the furniture a light expression despite its closed front. Thanks to its versatile character, it can be seamlessly introduced into the kitchen, office or bedroom. 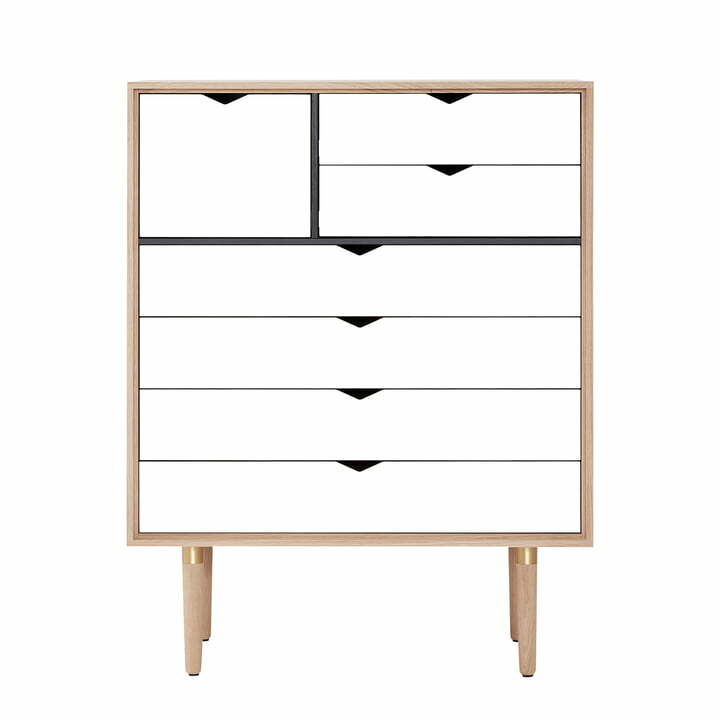 The chest of drawers is available in a version with a white front and a version with drawers of different pastel colours that harmonise wonderfully with each other. Isolated product image of the Andersen Furniture - S8 chest of drawers. S8 is equipped with various drawers of different sizes, where utensils, clothing, or files can be stored in an organised way. Isolated product image of the Andersen Furniture - S8 chest of drawers. 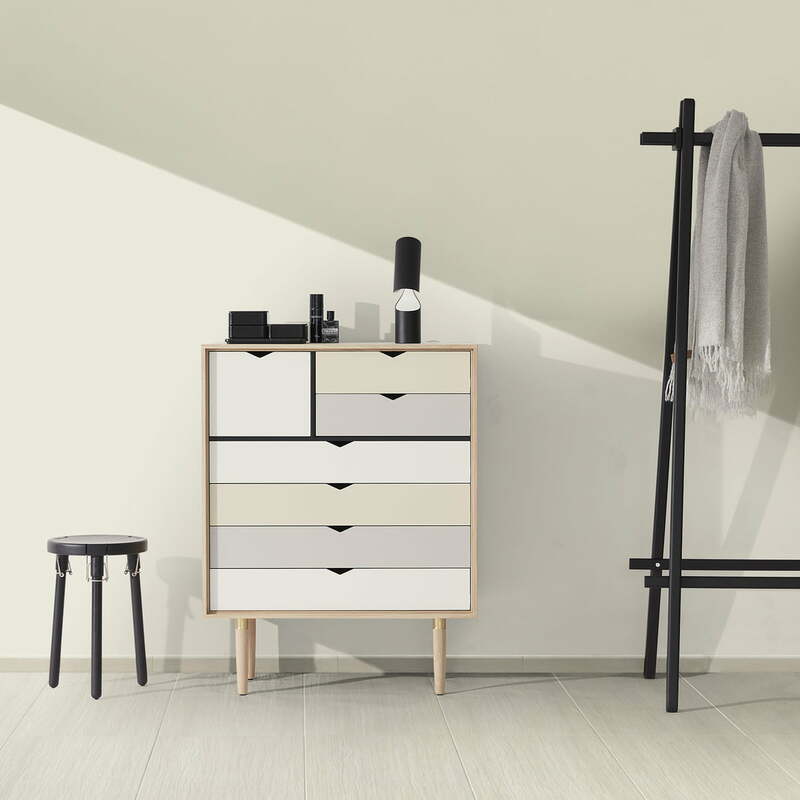 The S8 chest of drawers by Andersen Furniture is an excellent storage solution, particularly in small small living spaces. 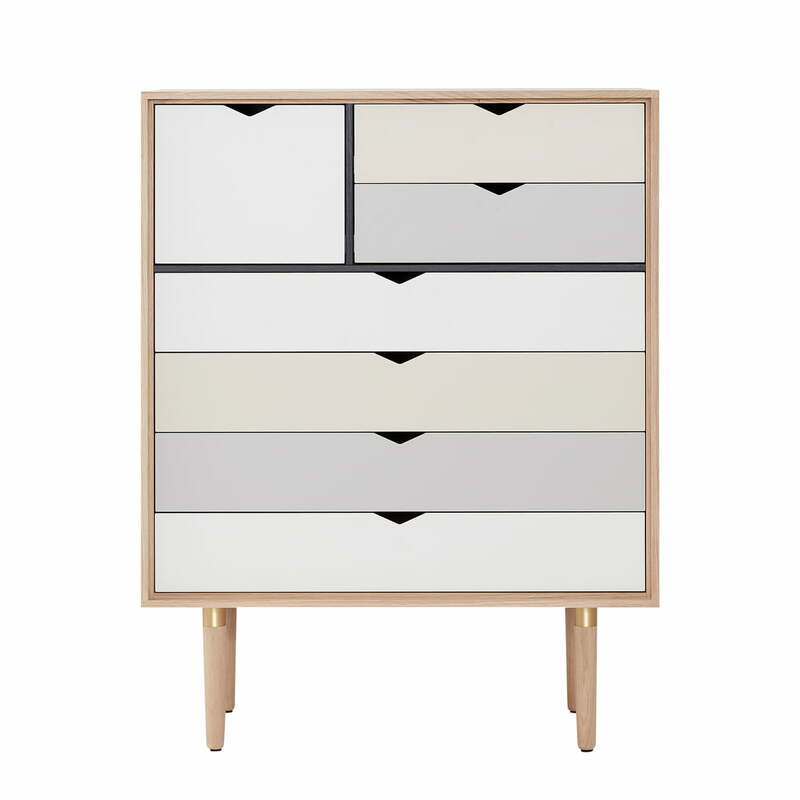 Lifestyle product image of the Andersen Furniture - S8 chest of drawers. The S8 has a versatile character that can be seamlessly introduced into the kitchen, office or bedroom.